CES 2010 always brings out the bizarre, but a company called Touch Revolution are taking it to the extreme. They’ve been showing off a microwave and washer/dryer, both equipped with the Android OS. Android, I’m sure you know, is Google’s open source operating system that’s been installed on dozens of smartphones, tablets and laptops. Never, though, has it found its way on the humble Microwave oven! To be fair, Touch Revolution aren’t actually selling the machines – they’re showing what can be done with Android and their own teccie skills. But it’s an interesting concept, and one that I’m sure will see the light of day before too long. Just picture it. Rather than watching the seconds count down as you microwave your baked potato to death, you can view your friends’ tweets instead. As it’s a complete Android OS running the show, you can also keep track of what you’ve cooked, how many calories it contains, how may calories you’ve eaten over the past few weeks, and the nutritional content (or distinct lack of it!) of the meals you’ve been eating. Actually, this could go even further. 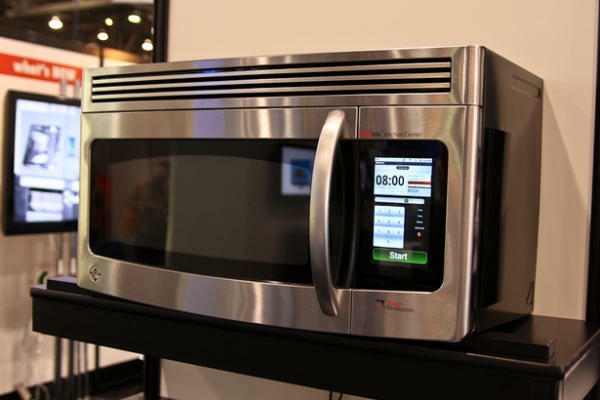 Equip the microwave with WiFi, and you can share the contents of your meal with your friends. Or the microwave could tweet to your friends what you’re about to eat, which, if it’s laden with calories, could cause them to tweet furiously back at you telling you not to do it! Or you could crowd-source the perfect baked potato. Put the spud in the microwave, cook it for a set amount of time, eath the thing, and then give it a rating. The microwave could send the rating to an online app, which would aggregate thousands of other users’ ratings. Averaging the ratings, the microwave could then tell you what the perfect cooking time is for any weight of potato. Hmmm – I started this post off humourously, but the more I think think about it, the more a social microwave seems to make sense! 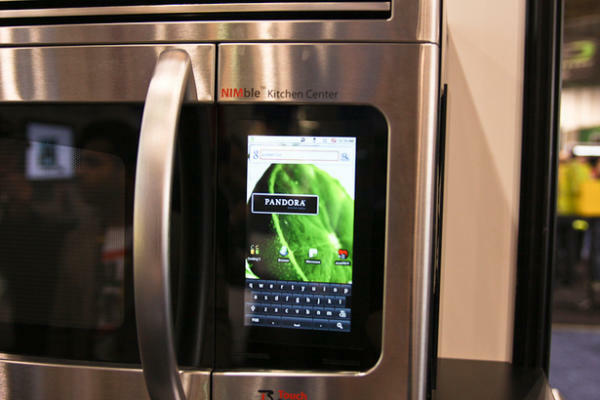 What other uses can you think of for an Android-equipped social microwave? Answer in the comments below, or let me know via Twitter. 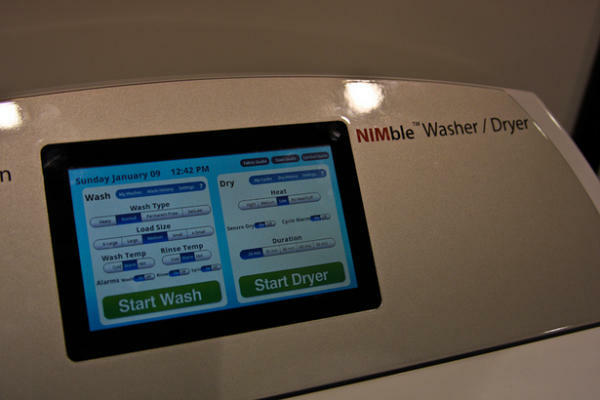 Now what can you do with a social washing machine…?! Is the Creative Zen Touch 2 PMP over-featured?